We’re still digesting the huge news today that co-founder Larry Page will be replacing Eric Schmidt as CEO of Google on April 4. It’s a move that no one saw coming — or did they? After reading over his statements and listening to his comments during the earnings calls, Schmidt does give some insight into the move. “For the last 10 years, we have all been equally involved in making decisions. This triumvirate approach has real benefits in terms of shared wisdom, and we will continue to discuss the big decisions among the three of us. But we have also agreed to clarify our individual roles so there’s clear responsibility and accountability at the top of the company,” Schmidt continues. In other words, he seems to be saying that while he was CEO, it was really a joint effort among the three to run the company. And now, in order to move quicker, they need one leader to make the decisions. And that will be Page. While Schmidt gave no indication that he was upset about the move (and he went out of his way several times to talk about his excitement about his new role and his continued relationship Brin and Page), this is clearly Schmidt being removed from power. And again, it appears to be because things just weren’t getting done they way the company would have liked. That brings me back to this piece I wrote about some of Google’s recent missteps. While publicly, some Googlers took issue with what I had to say, privately, a number reached out in agreement. There has been a feeling within Google of a lack of execution, among some I’ve spoken with. So perhaps today’s news shouldn’t be all that surprising. And along those same lines, it probably shouldn’t be surprising that Brin himself has taken control of Google’s social efforts, as we reported in December. Schmidt alluded to this fact today on the earnings call, when a question came up about social. Schmidt noted that Brin should take it as it’s a big part of what he’s working on. And Brin himself noted that there are “several new products” he’s working on, but would’t disclose them for fear that they may be called “vaporware” (a reference to Apple COO Tim Cook’s comment from yesterday about Android tablets). 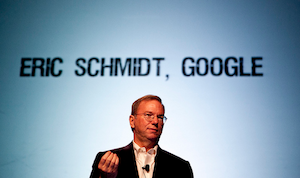 To be fair, Schmidt has clearly been bogged down in recent months by all types of high-level stuff as Google has been under increased scrutiny from this government and others and their power grows. Now his job will apparently be to just deal with those things, and let Page run the day-to-day without having to worry about much of that. How well that will work, of course, remains to be seen. Schmidt closed his portion of the Q&A by saying that while it has been a “great privilege” to be CEO for 10 years, and that a decade is a long time for anyone to be CEO. 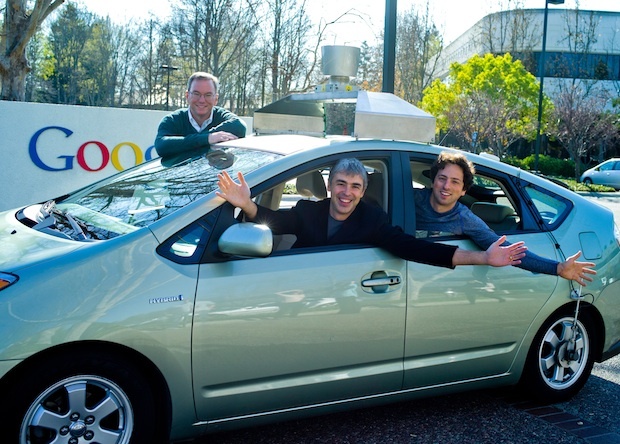 “I’m looking forward to working with my best friends, Larry and Sergey,” he said in closing. Just not as closely as they had been, apparently. It’s time to put the pedal to the metal.